Once you click in to the link, you will see the screen below where you are asked to complete your application. You will be asked initially to enter your email address and date of birth to access the form. The first section asks you to confirm your name and asks if your name at birth was the same or different to the name you now use. It asks you to confirm your date of birth and enter your passport number if you have used this as a form of identification. 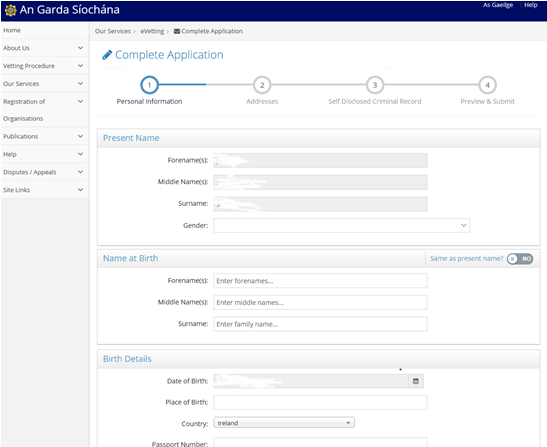 It will also ask for your county and country of birth as well as your mother’s maiden name. It then shows you your current address. You must enter the year you moved into this address. 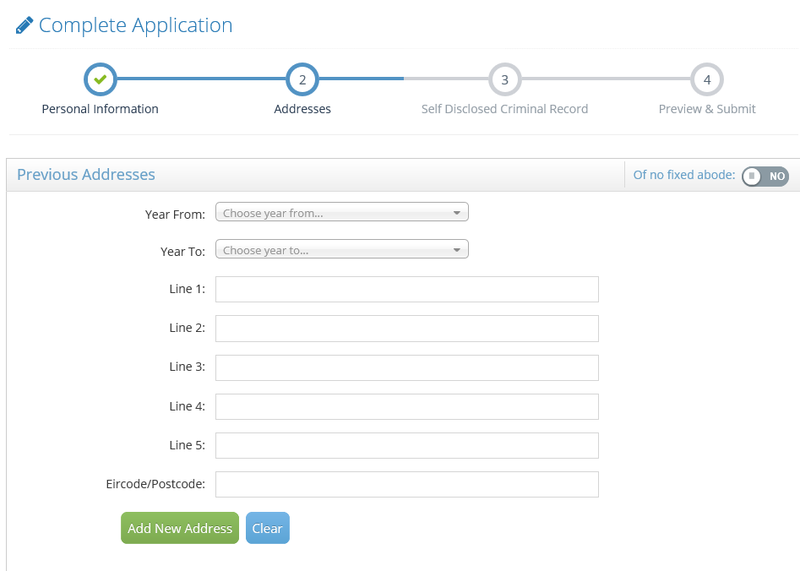 It now asks you to enter all the previous addresses you have lived at (regardless of whether they have been in Ireland or not) and to enter the years to and from you have lived at those locations. You should have been living at an address for at least 6 months to record it as a previous address. You must click Add New Address button each time you have completed entering in a new address. Remember you will also be recording the years you were living at each address. 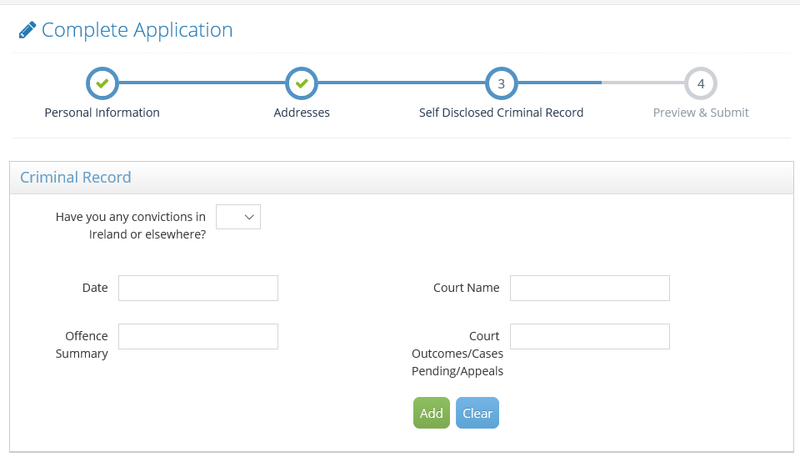 You are then required to complete a self-declaration as regards your criminal record. The answer to the question is either yes or no. If yes, you need to enter the court, date and type of offence. You will then have an opportunity to review all the information you have entered on your form. If you are happy that all the information entered is correct you will then press the Submit button. If you have made an error and need to alter the details, you now have an opportunity to do so. The National Vetting Bureau will now send you an email saying that you have submitted your application form.